Audi showed off its e-tron Sportback in Geneva for the very first time, similar to how it debuted the original e-tron SUV at last year’s Geneva Motor Show. 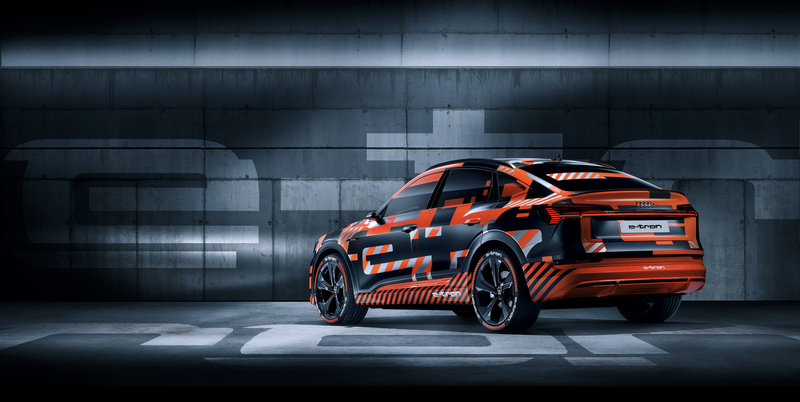 Just like the original, the Audi e-tron Sportback was seen wearing some funky camouflage but was otherwise production-ready. So while we couldn’t see too many details, we could see the overall design of the car. In this new teaser video, we get to see it yet again. Audi took the e-tron Sportback to Finland to test it in some very cold, very snowy conditions. Typically, you don’t see a lot of electric vehicles being tested while sideways but we get to see a bit of that here. The Audi e-tron Sportback seems to play well in the snow, kicking its tail out and sliding around. It also shows off some of its impressive “Electric Quattro” traction. Admittedly, this teaser is very short and only features short little clips of the car in the snow. But we can still see that it seems to be a fun car to drive and an EV that’s not afraid to play. Most EVs aren’t programmed for oversteer, even in snowy conditions, but it seems as if the Audi e-tron Sportback might allow for some hooligan fun before the electronic nannies kick in. When it makes its debut, the e-tron Sportback will pack 150kW-capable charging, just like the regular e-tron, as well as cameras for side mirrors and dual electric motors. No word on official power, performance or range yet, though. We’re guessing it will be similar to the regular e-tron as well. We don’t know when the e-tron Sportback will make its official debut but it’s said to premiere sometime in 2019. It’s possible that Audi chooses an early Fall 2019 date for the ‘Sportback’s official unveiling, just as it did with the original e-tron.